Officers: Vanessa Angeles, Christy Ly, Lexie Burdelas, Jose Varela, Oke Iyeke, Steven Velez and Vince Crisostomo. Not every high school student gets the chance to learn the skills and value of growing and harvesting crops. Horticulture just isn't in most high school curriculums. 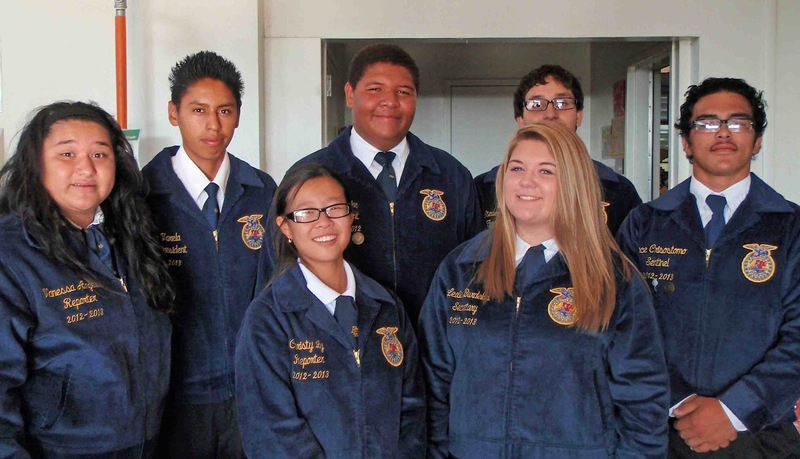 One of the lucky high schools that has a thriving ag program is Westminster High School. 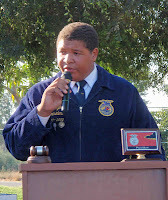 WHS FFA Pres. Oke Iyeke. 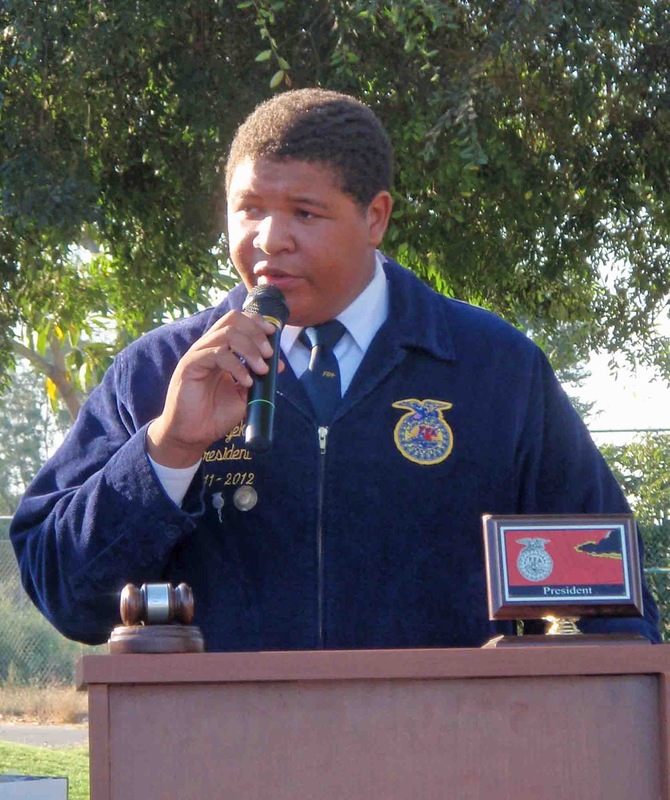 In fact, Westminster High School's Future Farmers of America (FFA) program is celebrating its 40th anniversary this year! 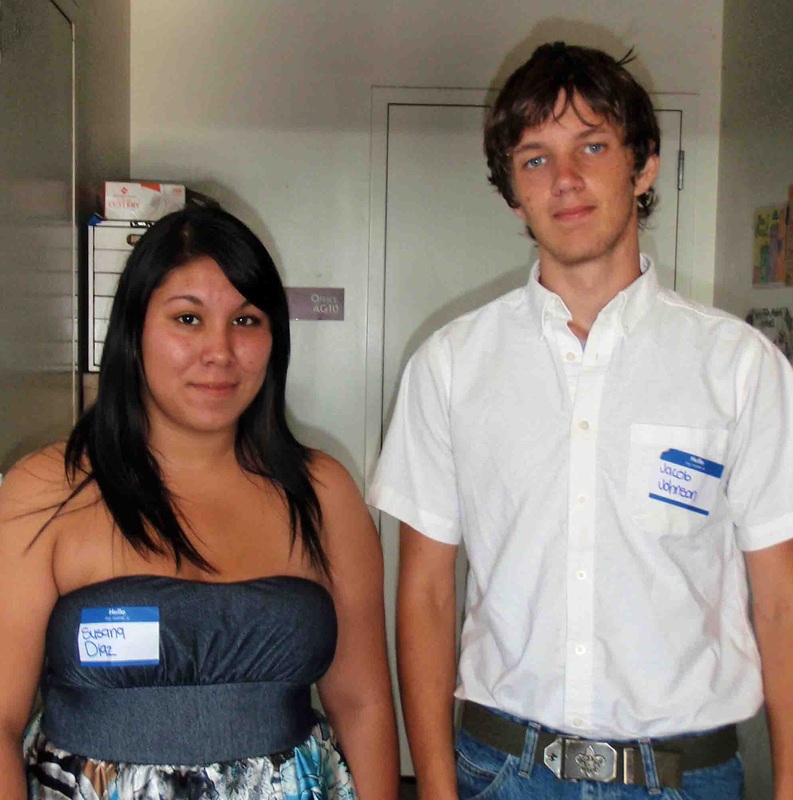 To mark the occasion, the FFA officers threw its very first Sponsorship Dinner on August 23. The ag students gave dinner guests guided tour of the farm which included the orchard, the animal pens and the horticulture and shop areas. Members are extremely dedicated to the ag program--some ride the city bus more than 25 minutes each way, twice a day, to tend animals, fields and plants. Ag officer Vanessa Angeles did all of the cooking for the event and guests included School Board Member Kathleen Iverson and proud community sponsors Mary Beth and Rick Travis. The Travises are avid gardeners themselves and have supported the Westminster FFA program for a number of years. Agromin is also a proud sponsor.